How to become a partner of 3Printr.com? Our partner area offers FabLabs, research institutions, manufacturers, service providers, retailers, 3D marketplaces and event organisers the possibility to keep their clients up to date. You can publish information about your services and products, keep your company’s profile up to date and place job advertisements, specifically targeting the 3D printing community. This service is free of charge. All information is reviewed by our team prior to being published. Extensive self-advertisement as well as incorrect entries will not be published. Checking might take a bit more time, however, this ensures the quality of content for our readers and the community. After the successful login you will be directed to our landing page, which now displays the menu for the partner area on the right side. Using the directory dashboard you can edit your entries in our overviews for service providers, retailers, manufacturers, FabLabs and research institutions. With a single login multiple entries can be managed and edited. As soon as you obtain a login, your entries are marked as “verified”. This way our readers can be sure that your data is accurate and up to date. The dashboard also displays the number of views since publication. By clicking on the relevant entry’s name a detailed list is displayed. There you can edit the content and reply to clients’ ratings. 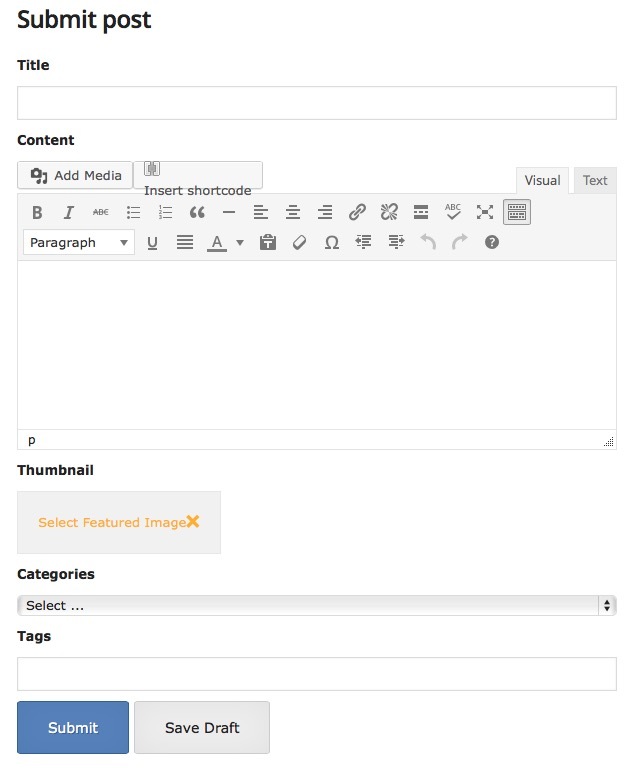 Selecting “submit post” allows you to submit press releases and guest posts. Our team reserves the right to edit the text. If this is the case, a remark will be added below. Videos from YouTube and Vimeo can simply be added by inserting the corresponding link. Please make sure you have the permission to publish images and videos and mention copyright holders if required. You can save the article as draft and edit it later on or submit it for review to our editorial team. Is there an event coming up in your company? Whether it is an external training, a conference, an in-house exhibition, an open house day or any other kind of event, simply add it to our event calendar using the “submit event” link in the menu and filling in the form. 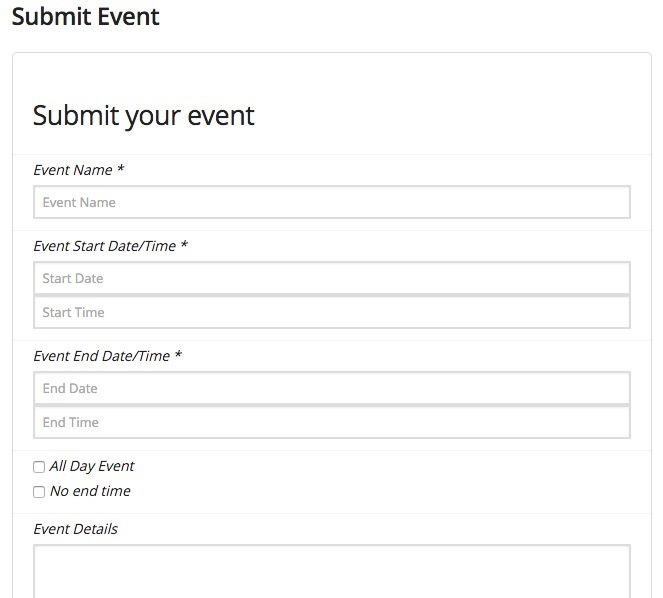 You can either select “all day event” or enter the corresponding start and end date plus time. By entering the location’s address, an interactive map will be generated automatically. You can advertise job offers in the 3Printr.com career section free of charge in order to address a broad community in the field of additive manufacturing. Please select from the following categories: full time, part time, temporary job or internship. Managing your own or your company’s profile is essential when publishing press releases and guest posts. The profile will be displayed below each posting and can enhance your visibility along with generating backlinks to your website. Next to a small logo or picture, either your or the company’s name (this can be selected in the drop down menu), a short description, website link and social media contact possibilities are displayed. You also can edit your profile´s biographical text for our german site 3Druck.com. You project or company is not listed in our overviews or the information provided is out of date? Become a Partner of 3Printr.com and contact us now.